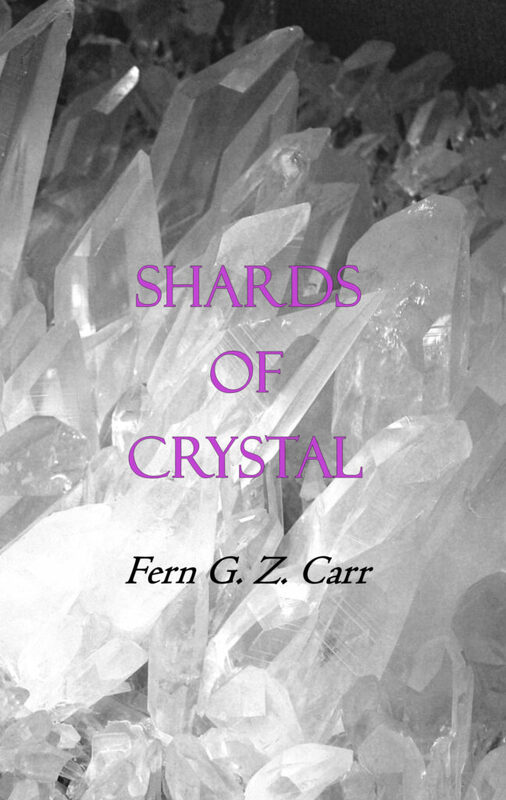 The Musicality of Stars: Shards of Crystal Reviewed by Cynthia Sharp. Originally published on Canadian Poetry Review’s Facebook page. I’ve been a fan of Fern G. Z. Carr’s work for years, whether it’s orbiting Mars or in literary journals through the globe. Now to have a whole melodic book of hers to curl up with by the fire under blankets and starlight is a rare winter treat. “Gone” speaks deeply to natural beauty and peace of mind eroded through violation, as well as to what “remains,” how scars wound and leave survivors hidden in daily battles, whether it’s post-traumatic stress disorder or other unseen burdens, the permanence of the damage when a person’s right to safety is ruptured. Carr portrays the intricacy of the shadows that remain so that readers can empathize with real hope based in knowledge, experience and service, a gift of healing to those who have overcome chasms of hidden pain and those who still suffer. The “Body Language” poems are deftly incarnate, conveying the heartbreak, powerlessness and empathy evoked in the kindness of hospital staff as a loved one undergoes treatments and diagnostics in lines such as, “doctors are politely paged/ to rush to the aid of the dying.” Carr captures a tone of graciousness and helplessness in the face of mortality. Her empathy extends to animal lives as well. In the “Animalia” section, the collection progresses with sharp imagery that gets inside the reader, bringing the tragic loss of a puppy poisoned with strychnine to light in a way that draws readers all the way in to understand that every life matters, her imagery connecting us with the consequences of intolerance. Carr is a poet who is not afraid to use the whole page, whether it’s a concrete poem or an experimental, rhythmic compilation of fragments. Shards of Crystal is where precision and compassion meet to leave readers in awe, as brokenness enters light. It’s not a surprise that Carr is highly regarded, not only for her meaningful and skillful poetry, but also for her volunteer work for animal rights, literacy and other humanitarian causes. Carr is a classic poet who will stand the test of time.